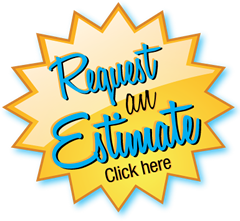 There is no charge for repair estimates. Estimates for repairs vary because roofs have a wide variety of factors influencing different aspects of repair work (i.e. materials, scope of work, roof pitch). Many roofs we look at do not need to be replaced. That's why we offer repair service on a time and material basis. Or if you are having leaks, we can track them down and fix them for you. There is a minimum charge of $250.00 for any repair completed. Many real estate and insurance companies need the services of a professional roofer to inspect buyer's and seller's roofs for life expectancy and overall condition. Lamberds Pro-Tec-Roofing has experienced roofing inspectors to perform these services. Our people are not whole house inspectors, but experts in roofing and have attended Haag Engineering's classes on residential roofing. Our fee for such inspections are: $250.00 for a written report and $125.00 for a verbal report. Hail is dangerous to your home’s roof because it decreases the roof’s life expectancy. Damage to the asphalt roof occurs when the protective granular surface of the asphalt shingle loosens and falls off. With the granules removed the shingle loses some of its protection, shortening the lifespan of the roof and making it more susceptible to additional damage. Question: Will my homeowner's insurance policy cover roof repair if my roof sustains roof hail damage? Answer: Depends. Some policies will cover a roof repair in the event your roof has received damage due to hail. Typically the roof is not repaired, but fully replaced. This is done because the insurance company has recognized the damage to your roof has reduced its life expectancy and its ability to provide protection against potential water damage. If your homeowner's policy covers hail damage and the insurance company accepts the claim, you are typically responsible for paying a deductible. Tip: If you are unsure if your homeowner's insurance policy covers hail damage, consult your policy paperwork, or contact your insurance company. Tip: Beware of storm chasers going door to door in your neighborhood after a storm. Your home is one of your largest investments you want to make sure and do your research before choosing the right contractor for you. If you have visually inspected your roof or suspect you have hail damage, contact Lamberds Pro-Tec Roofing for a professional opinion, we will provide you with a full roof inspection. Storms, tornadoes and trees can fall atop your roof, or maybe your roof is experiencing leaks from age. In these cases, roof repairs are not enough to get your original roof back in shape. There will come a time when you will need to have your whole roof replaced. No need to worry because Lamberds Pro-Tec Roofing can easily be called to your rescue. Since your roof is one of the most important structure of your home, it is also one of the most expensive to fix. Lamberds Pro-Tec Roofing offers routine maintenance services for all roof types to give you advice on the most practical way of maintaining your roof.